With the recent announcement that the Russian government will mandate A shift from Microsoft to Linux by 2015. I started thinking about what the Russians will do if they have some Windows Applications that don't have Linux equivalents at this time. One option would be to keep some Microsoft Windows boxes around to run a small number of critical applications. Another option would be for the government to fund the development or porting of the needed applications to Linux. 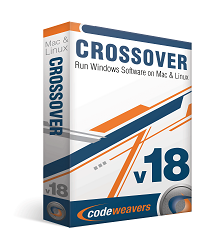 A third option would be they could run the applications on CodeWeavers CrossOver Pro on Linux and save the Windows licences and any development or porting cost. This isn't just for Russia, this is also true for many other countries around the world that's making the shift away from Microsoft Windows to Linux. Then their is smaller state and local governments that are also making the shift to Linux. And for smaller governments the cost to develop or to port a custom application to Linux might be prohibitive. But with the purchase of volume CrossOver licences the cost would remain within budget. As the local government would save the cost of the Windows licence that's allot more expensive then the cost of CrossOver. Next is educational institutions, have you ever thought how much the worlds educational institutions would save by making the move away from Windows to Linux? And how the savings could be used for actually educating our children and young adults. 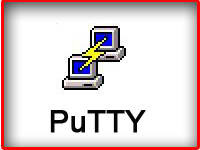 Then their is the power user who has two or more computers that run Linux or Mac and who wants the option to run certain windows applications or games on their operating system of choice. With a volume purchase of two or more licences you can receive a discount off the full retail price. Lastly I would suggest LUG users or people who have friends who also use Linux or Mac to setup a home brew Groupon. And one person take every ones order and then make the volume purchase for the discounted price. This way everyone in the group gets a higher discount as more licences can be purchased at a single time. So how does volume licensing work? For example if you purchase 2 to 9 licenses you will receive a 5.6% discount off the normal retail selling price of $69.95 and as you can see in the table below the more licenses you purchase in a single block the higher the discount received. The maximum discount goes up to 43% off retail for 1000 or more licenses purchased at a single time. While a $40,000 purchase might seem like allot to a single user, this is well within range of normal software purchases for large business, educational intuitions, and government of all sizes. For more information on CodeWeavers volume licencing click this link. 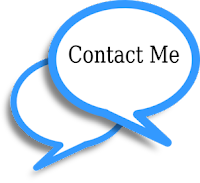 CodeWeavers strongly believes in the power of open-source solutions to help deliver critically needed software at reasonable prices to educational institutions worldwide.